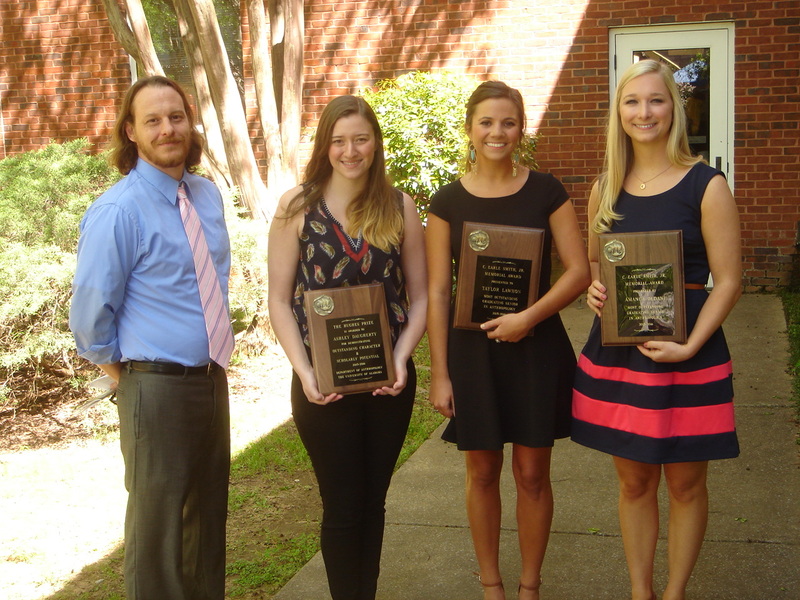 Left to right: Undergraduate Director Cameron Lacquement, Ashley Daugherty holding Hughes Prize plaque and Taylor Lawhon and Amanda Oldani holding Smith Award plaques at Undergraduate Honors Day 4-8-16. Established in 1987 by his friends and colleagues, this award honors the memory of C. Earle “Smitty” Smith, former professor and chairperson of the department. The Smith Award is given each year to the anthropology major who graduates with the highest overall grade point average. 1995-96 Joseph D. Sharp, Jr.